Coming Soon: The Little Firefly! Best-selling, award-winning author Sheri Fink's next inspirational children's book, The Little Firefly, is set for release early this Spring! The Little Firefly is an enchanting tale about a late-blooming firefly who can't wait to be all grown up. 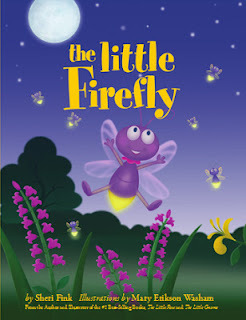 When all the other fireflies begin glowing before the Little Firefly, she discovers that true friends are the ones who love and support her just the way she is. This charming story helps kids learn about love, friendship, and acceptance.